This rib is our standard option for wool or leather jackets and coats. Made with our finest, low pill acrylic yarn, the polyester is added for maximum stability and shape retention (Try style 5262 for a 100% acrylic version of this knit). As a 1×1, 527AP has a smoother texture than it’s 2×2 counter parts 5232-22, 5234-22, and 5265-22. This is an economical option for letterman style jackets with extra long lengths, up to 70”. 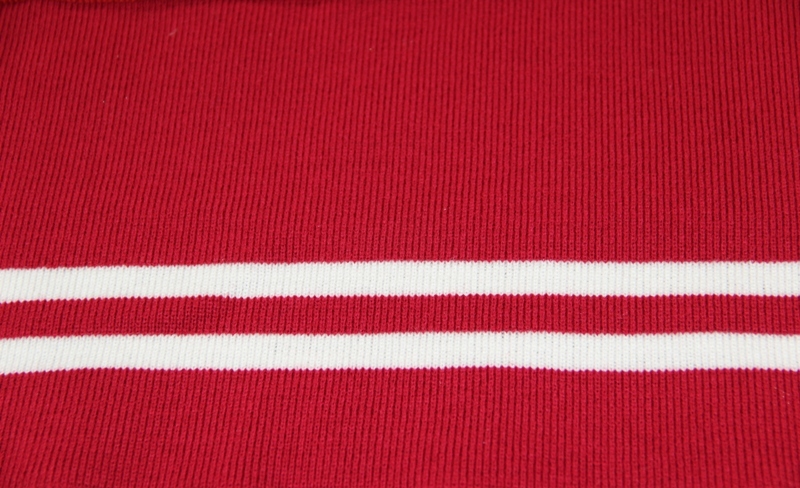 We can custom knit any stripe pattern that you desire. To view our standard rib knit trim patterns, please click here.